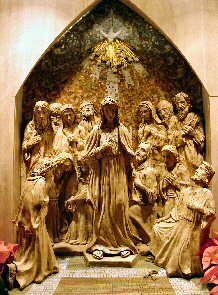 Queen of Apostles . . .
All shepherds of the church today are challenged to encourage an ever increasing openness to the glories of Mary and her role in our salvation. 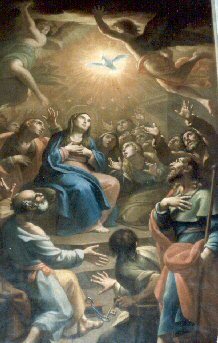 Mary, who is the spouse of the Holy Spirit is intimately concerned in the sanctity of the children for whom her Son died to redeem. We should call upon her that our hearts and minds be enlightened to hear and act to desire the fruits of Christ's redemption and by our word and deed inspire others to be open to God's graces in their lives.